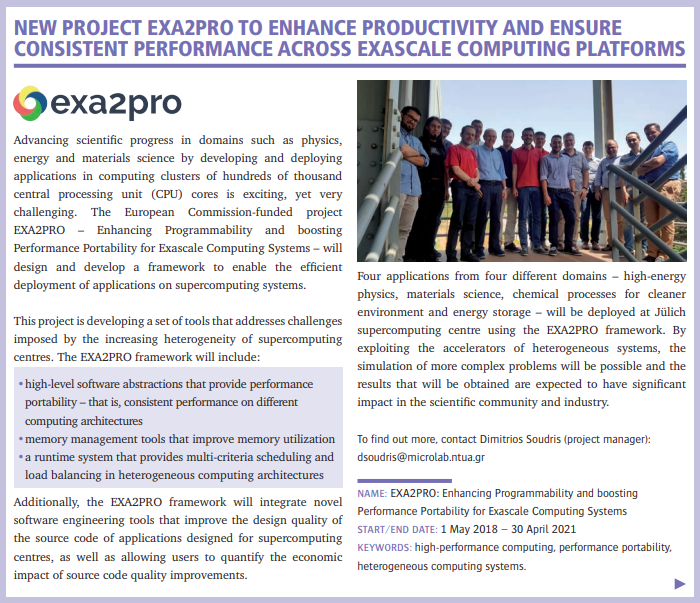 The vision of EXA2PRO is to develop a programming environment that will enable the productive deployment of highly parallel applications in exascale computing systems. 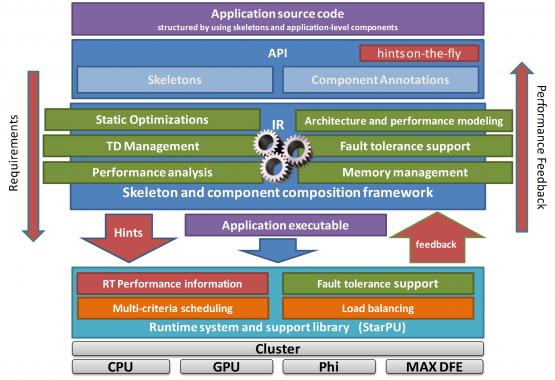 – Identification of trade-offs between design qualities (source code maintainability / reusability) and run-time constraints (performance / energy consumption). 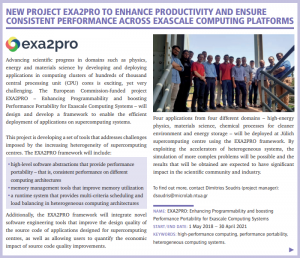 a) the scientific and industrial community that focuses on application deployment in supercomputing centers: EXA2PRO environment will allow efficient application deployment with reduced effort. 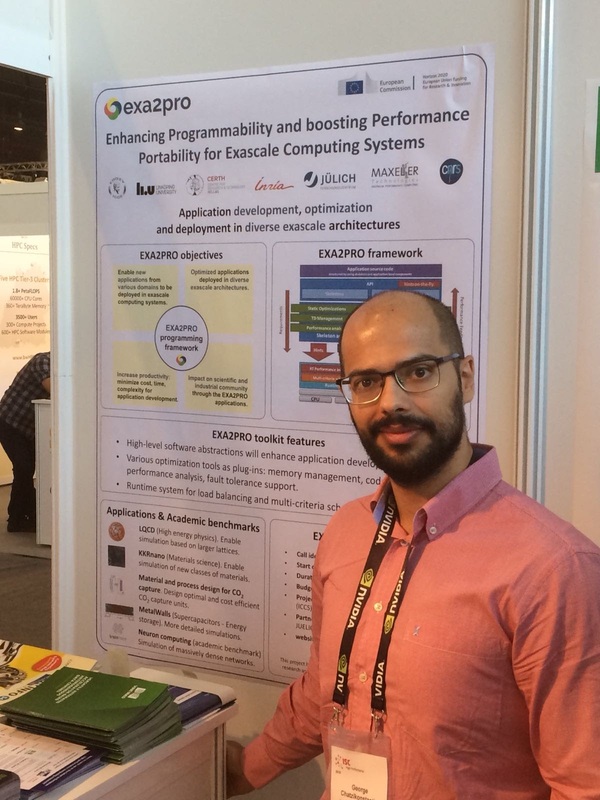 b) on application developers of exascale application: EXA2PRO will provide tools for improving source code maintainability/reusability, which will allow application evaluation with reduced developers’ effort. 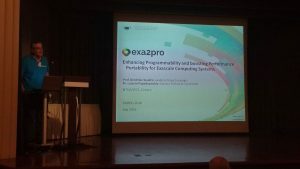 c) on the scientific community and the industry relevant to the EXA2PRO use cases. 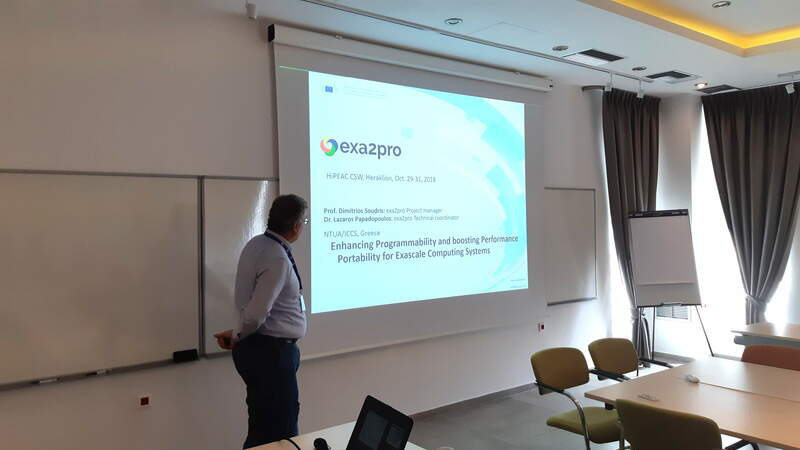 At least two of the EXA2PRO use cases will have significant impact to the CO2 capture and to the Supercapacitors industry. The Institute of Communications and Computer Systems (ICCS) is a non-profit Academic Research Body established in 1989 by the Ministry of Education in order to carry research and development activities in the fields of all diverse aspects of telecommunications and computer systems. ICCS will be the PC, will manage the dissemination of the project results and will have a central role on the development of memory optimizations, design space exploration and fault-tolerance mechanisms. Linköping University is a multi-faculty university that stands at position 26 among the world’s best young (< 50 years) universities in the latest ranking by the prestigious QS World University Rankings. LIU is a research-based university with excellence in innovation and has always had strong cooperation with the surrounding business sphere and the community at large, both in terms of research and education. LIU will focus on research activities concerning the development of high-level software abstractions and the composition framework. 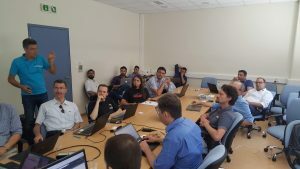 Established in 1967, Inria is the only French public research body fully dedicated to computational sciences. 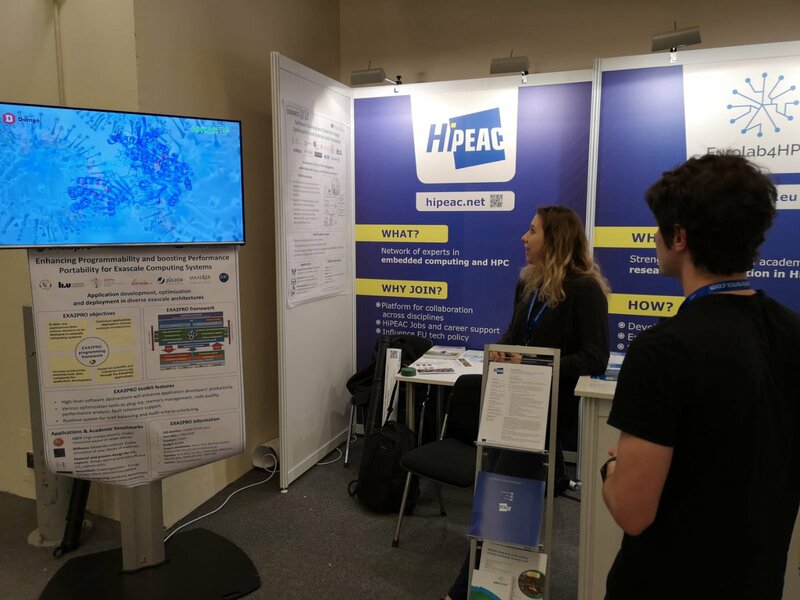 It is a national operator in research in digital sciences and is a primary contact point for the French Government on digital matters. 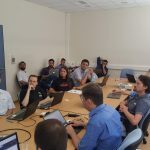 INRIA will contribute the StarPU run-time system, which will be extended to support the requirements of (pre-) exascale systems. ForschungszentrumJülich – a member of the Helmholtz Association – is one of the largest research centres in Europe. 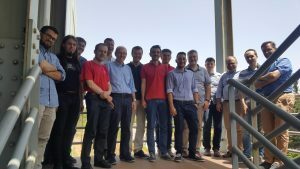 It pursues cutting-edge interdisciplinary research addressing the challenges facing society in the fields of health, energy and the environment, and information technologies. 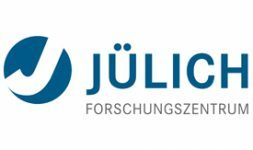 JUELICH will contribute on the specification and requirements of the EXA2PRO environment for supercomputing centres and will also serve as a use case artner providing 2 use cases. 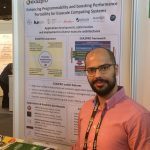 Maxeler Technologies provides complete hardware and software platforms for High Performance Computing applications using reconfigurable dataflow supercomputing technology. MAXELER will evaluate the support of the EXA2PRO environment for dataflow engines in supercomputing centres. The Centre National de la RechercheScientifique (National Centre for Scientific Research) is a public organization under the responsibility of the French Ministry of Education and Research. 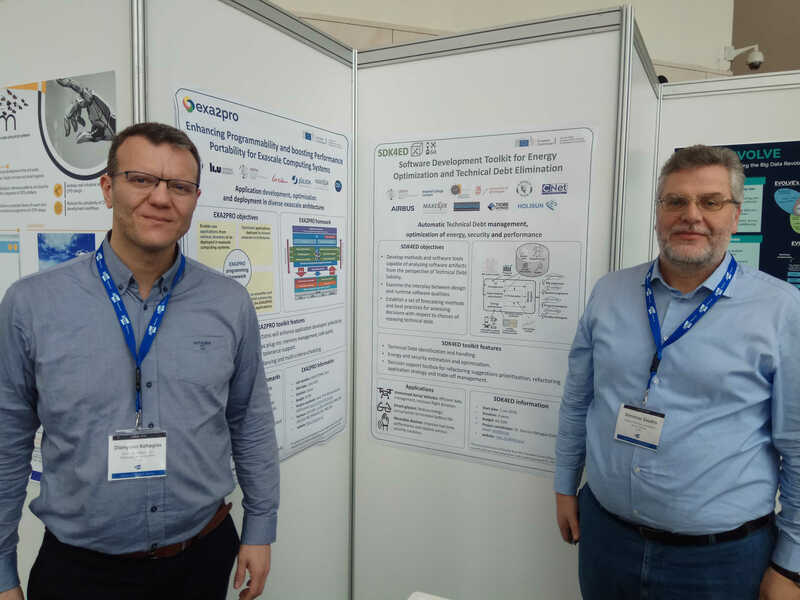 CNRS is the provider of the Supercapacitors simulation use case (Metalwalls), from the energy storage application domain. 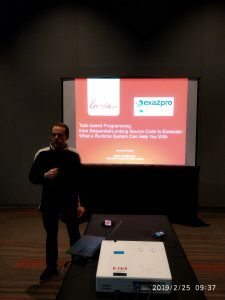 EXA2PRO framework runtime system benefits and features were presented by Samuel Thibault (INRIA) in #SIAMCSE19 Conference on Computational Science and Engineering, in Washington, USA. EXA2PRO framework runtime system benefits and features were presented by Samuel Thibault (INRIA) in SIAM Conference on Computational Science and Engineering, in Washington, USA. 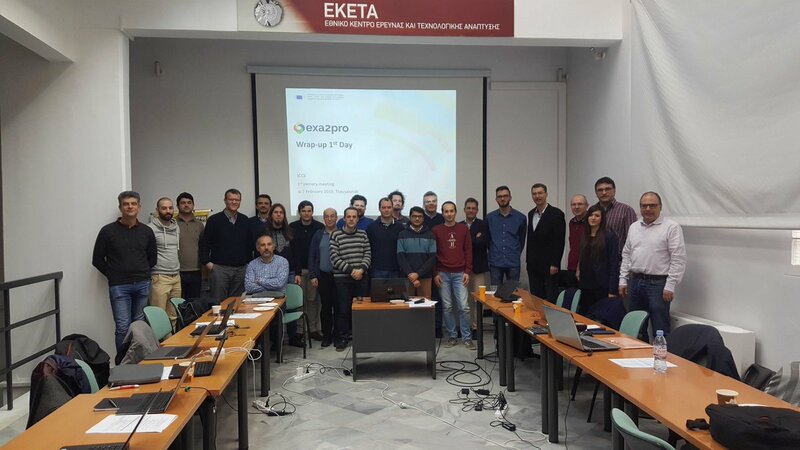 EXA2PRO team in the 1st plenary meeting in Thessaloniki, hosted by CERTH! EXA2PRO and SDK4ED posters in HiPEAC 2019 in Valencia! 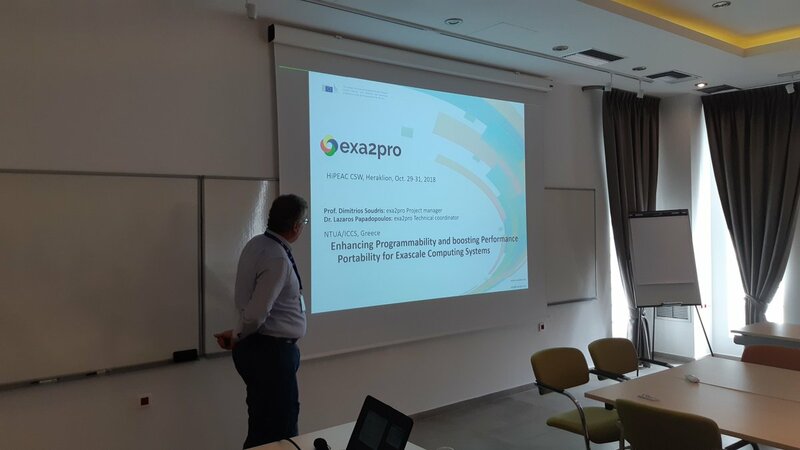 EXA2PRO is the newest member of the heterogeneity alliance that is formed of organizations that develop future technologies using heterogeneous architectures. 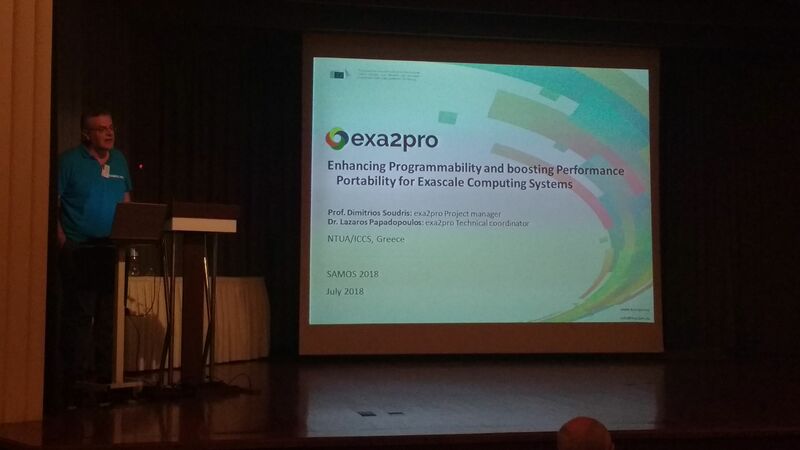 EXA2PRO presented in SAMOS 2018 conference. 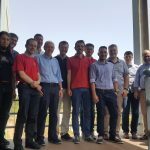 ΕΧΑ2PRO will be presented on July 29th 2018, at Berkeley Lab, US! The kick-off meeting took place on 7-8 June in Athens! 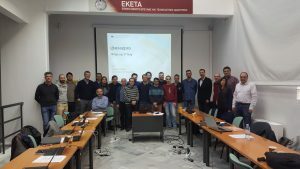 The kick-off meeting will take place soon in Athens! Files are not provided yet.